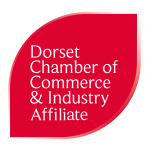 To join the Chamber, please Click Here and complete the Application Form. To renew your membership for 2018/19, please select your rate, enter your company name, and click the ‘Buy Now’ button. You’ll be taken to PayPal to pay. Annual membership runs from 1st September to 31st August.